Farrell Wayne Turner age 64 of Pine Knot, Kentucky, passed from this life on Tuesday, December 18, 2018 at the Big South Fork Medical Center. He was born February 23, 1954 in Norfolk, Virginia to Kenneth Turner and Lou Vern (Taylor) Turner. His father and an infant granddaughter precedes him in death. Surviving family include his wife, Donna Moore Turner whom he married, September 24, 1972; a daughter, Tonya Lavern Hackler and husband, Henry, of Pine Knot; his mother, Lou Vern Turner of Pine Knot; sister, Dovey Chambers and husband, Chuck, also of Pine Knot; grandchildren, Matthew, Noah, Andrew, and Elizabeth Hackler and Jeremiah Winchester, who he thought of as his grandson; a special aunt and uncle, Belva and Jim King whom he thought of as a mother and father. Farrell is also survived by several special nieces and nephews, Harley Vanover (Tracey and her son, Trent), Melanee Chambers (Gage), Chandal Kidd (husband, Brandon) and their children, Kaylie and Rylan, Daniel and Matthew Perry; many aunts, uncles, cousins, and his little dog, Rusty whom he loved like he was a child. Rusty was very protective of him. Farrell was a member of the East Pine Knot Tabernacle Church of God and had been attending Black Oak Church of God when he was able to go. He was a Veteran of the United States Air Force. 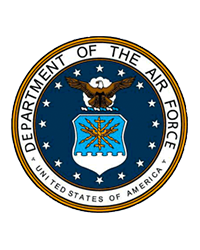 Farrell was stationed at Lacklin Air Force Base in Cheyenne Wyoming from September 1972 until September 1973, when he received an honorable discharge. During his time in the Air Force he served our country as a security police guard that guarded the missiles. Farrell enjoyed being outdoors, hunting, fishing, camping, and gardening. He enjoyed watching sports, especially UK Basketball and Cincinnati Reds Baseball games. Farrell loved his family and wanted to spend every minute he could with them. He was a very caring and loving person who would pray every time he saw an ambulance because he knew someone was in trouble. Farrell will be deeply missed by all who knew him. Funeral services will be held on Saturday, December 22, 2018 at 1:00 pm in the chapel of Pine Knot Funeral Home with Rev. William Kilby, Rev. Stanley Taylor, and Rev. Steve Perry officiating. Burial is to follow in the T Chitwood Cemetery. The family will receive friends for visitation on Friday after 6:00 pm at the funeral home.